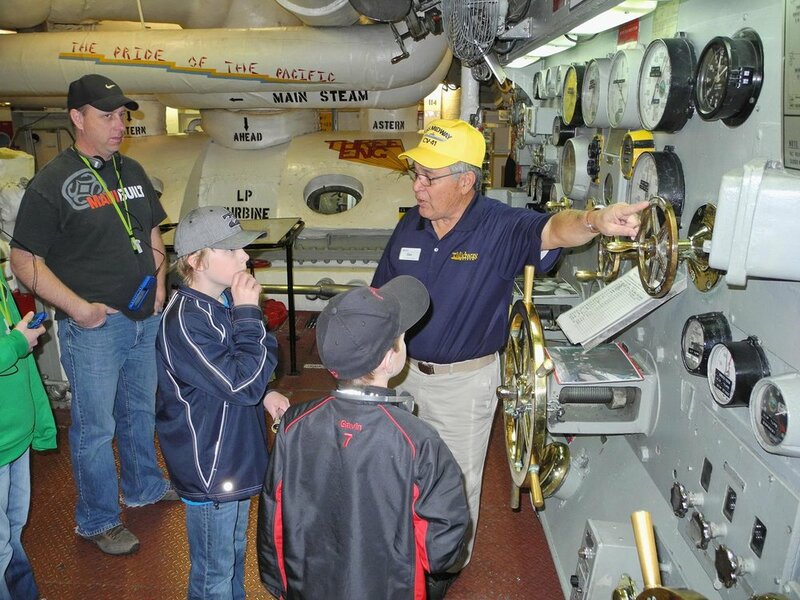 Create a lifetime memory by exploring a historic U.S. Navy aircraft carrier! The USS Midway was the Navy’s longest serving carrier of the 20th century (1945-1992) and the largest ship in the world for a decade! Now you can walk in the footsteps of 225,000 sailors on a self-guided audio tour narrated by former Midway sailors and officers (available in EN, FR,GR, SP, JP, & Mandarin). More than 60 locations—from the engine room to the bridge—and 29 restored historic aircraft. Interactive exhibits and climb-aboard aircraft for all ages. Don’t miss the flight simulators, gift shop and café. Elevator access to most exhibits on what once was a city at sea, population 4,500! Located on downtown San Diego’s Embarcadero alongside Navy Pier (910 N. Harbor Drive). Open daily, 10-5 closed on Thanksgiving and Christmas Days. Last admission at 4pm. You may pay for private vehicle parking on Navy Pier four hours. AX, DS, MC, VI.